Let the good times roll. 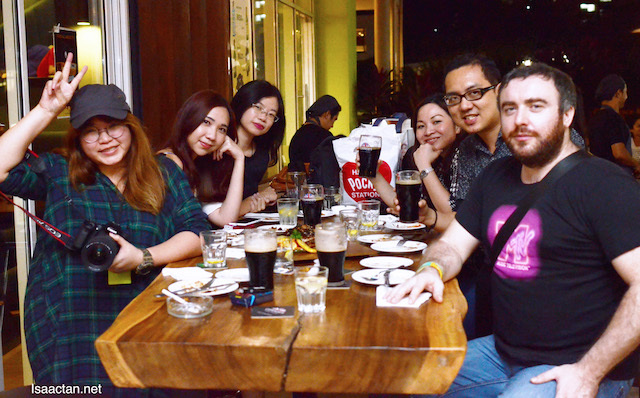 It was another great night out with fellow buddies and foodies at #TheBBP, Bandar Utama, enjoying The CONNOR'S Experience. 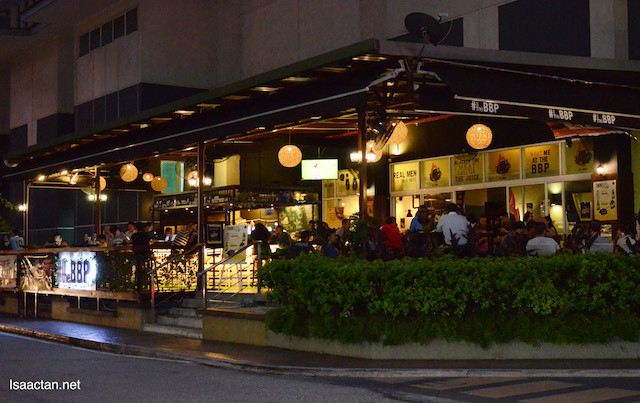 Located inside The Club Bandar Utama, The BBP is a gastropub style restaurant that's located inside The Club Bandar Utama. If you haven't been there yet, you should. Similar to the previous rounds, I took the opportunity to catch a GRAB ride to the location (There's a promo for it, so do remember to read till the end of this post). Now it's not my first time to The BBP, and each time I'm there, it has always been a fulfilling experience for the tummy. Read my previous writeups here, and here. 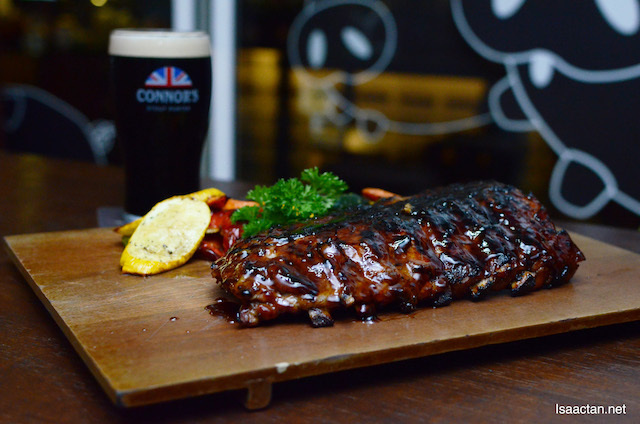 This time around, I was there to savour some of the yummy meaty dishes that The BBP has prepared to give us the CONNOR'S Experience. All of the dishes have been infused with CONNOR'S Stout Porter in one way or the other. Check out what we had that evening. "Blacker the meat, sweeter the juice"
It's essentially a holistic experience for consumers to fully immerse themselves in the “Just Made Right” essence of CONNOR’S Stout Porter. From drinks to food to getting home safely after a fun night out, CONNOR’S Stout Porter wants to give consumers a chance to enjoy A Night Made Right with their buddies - all packaged in one amazing deal, this time at The BBP. You know it's good when every angle makes it look yummy. 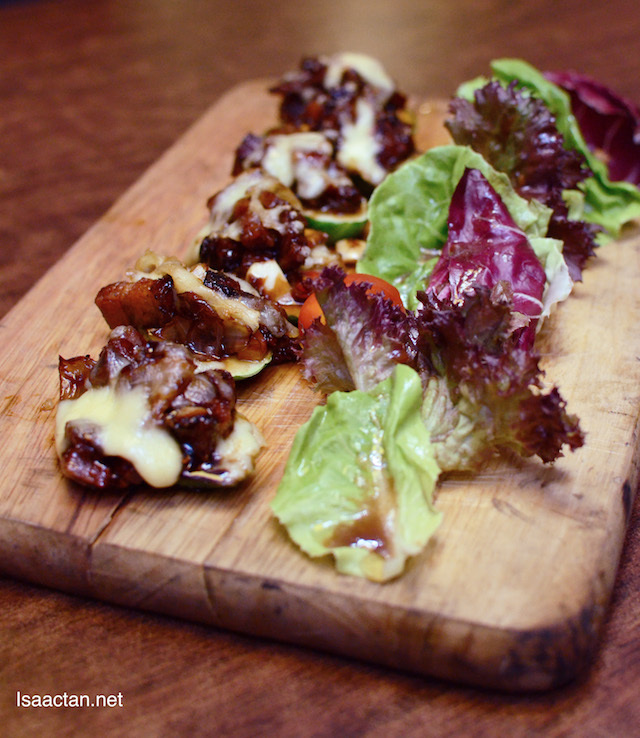 We kicked off our night with the delectable looking Caramelized CONNOR'S Pork Belly. 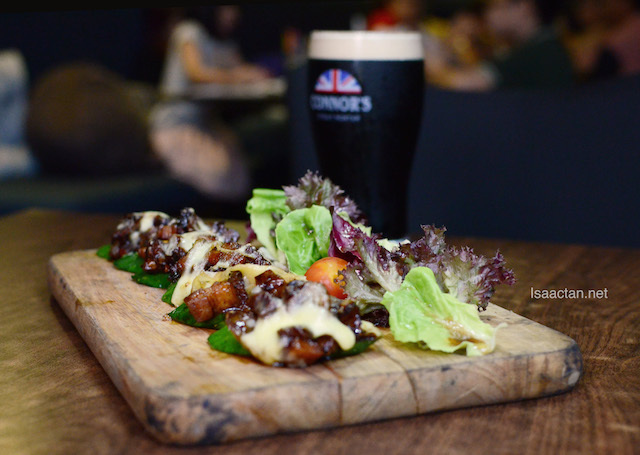 Each delicious piece is served on crunchy sliced kyuri (Japanese cucumber), made from fine pork belly treated with caramelised CONNOR'S sauce and melted cheese. Love how the cheese melts together with the meat giving out a savoury sweetness unlike any other. Good stuff. Let's move on, we had a total of 6 dishes that night. 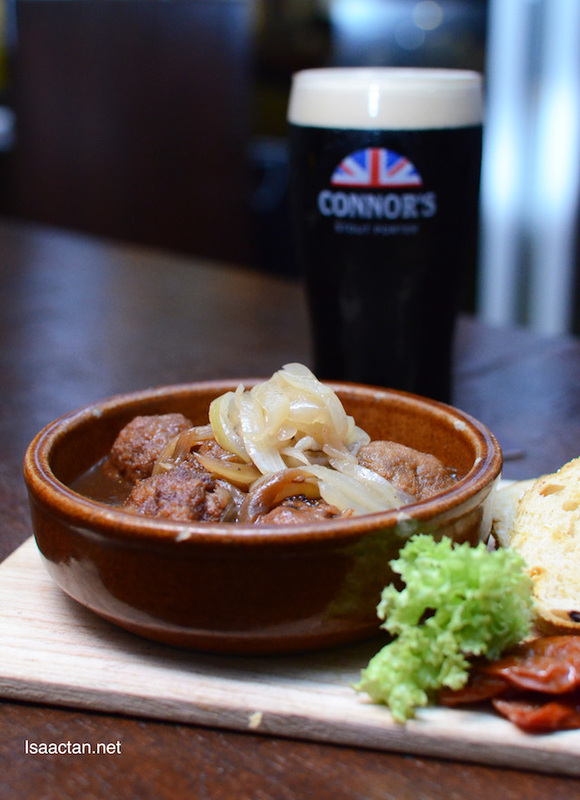 You do get what you see, soft and tender meat balls served in sweet onion CONNOR's Sauce. The onions were those sweet caramelized one, which really did wonders to the flavour of the meat. Each piece of the slow braised beef meatballs was a joy to munch on. Enjoy the dish with the sun-dried tomato bread on the side. 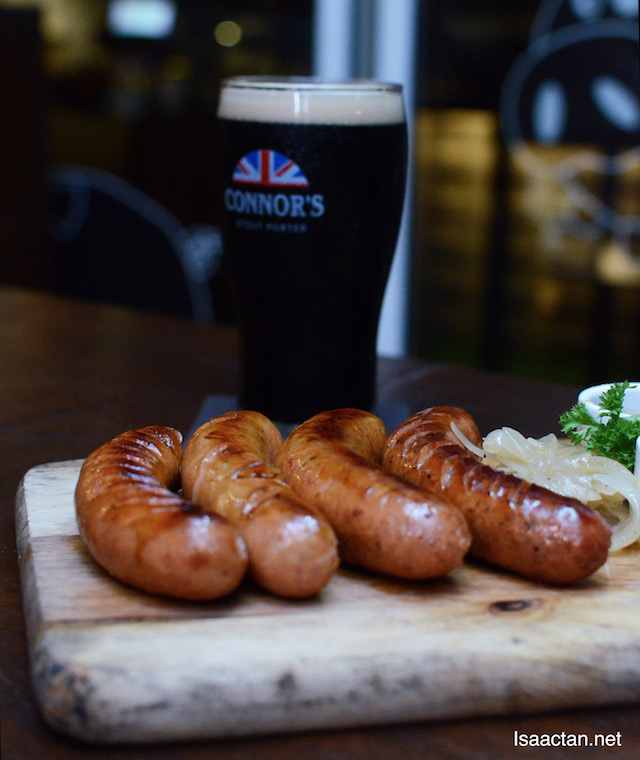 Always a fan of pork sausages, no matter the variant, here we were presented with a whole platter of CONNOR'S infused Sausages. It was a variety of sausages placed on a platter, namely the Spicy Hungarian, German Pepper, Bacon bratwurst and Chorizo sausages. Accompanied with caramelised onions, I think I need more of these goodies. Are you kidding me? This is heaven, a huge chunk of slow cooked pork belly marinated in CONNOR'S & spices. Marinated for four hours with secret spices and CONNOR'S Stout Porter then braised for two hours or until tender, this is no simple dish I tell you. The taste shows for itself, melting in your mouth with each bite. What made it even better? A pint of CONNOR's Stout Porter of course, as well as the accompanied bacon mash and pork crackling. 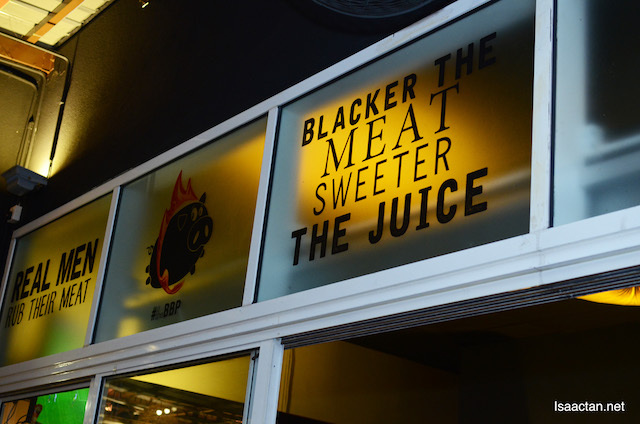 A visit to The BBP is never complete without trying out their pork ribs. 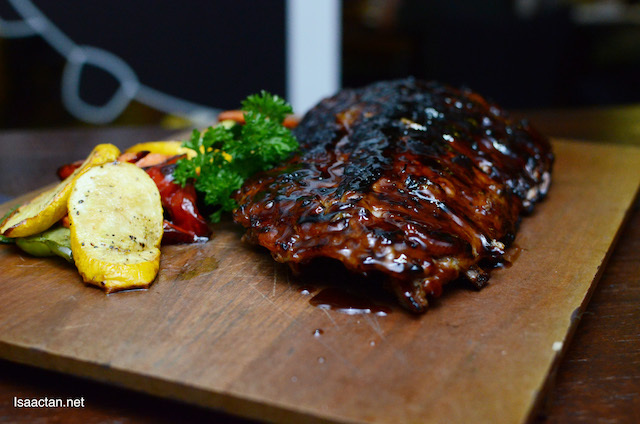 What better chance than now to try out this 800grams of juicy and tender pork spare ribs, aptly named the Barbeque CONNOR's Honey Spare Ribs. Char grilled over wood firechips and glazed with sweet honey CONNOR's sauce, it was the tender, fall off the bone kind, the kind which I truly enjoyed. Good stuff I tell you. A superb night out with friends, here's a big thumbs up to The CONNOR'S Experience - Just Made Right. 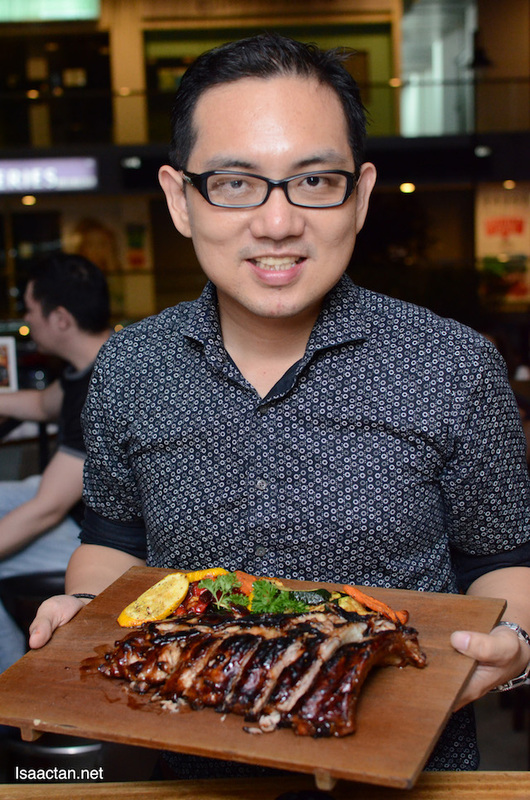 Love all the porky dishes prepared by The BBP, and you can be sure I will be back again soon. We could easily hitch a ride back with Grab by using the very cool promo code below. 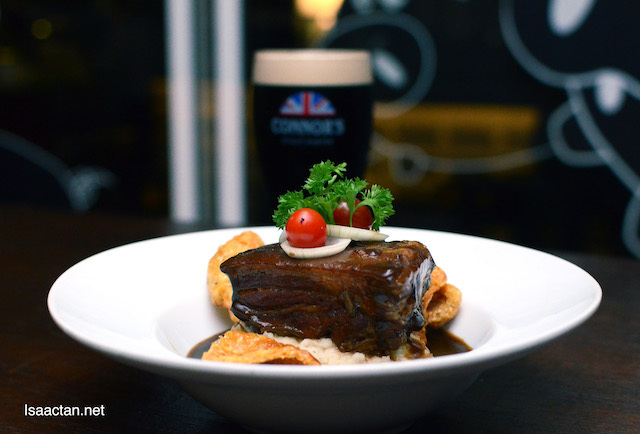 With The CONNOR’S Experience, consumers get to enjoy delicious CONNOR’S-infused dishes paired perfectly with a pint of CONNOR’S Stout Porter at great prices. With the Grab partnership, never drive back tipsy or drunk any more. Get Grab to drive you home. Key in the promo code GRABCONNORS today, and experience what I did! Yummmmm!!! You have the stout, I'll have everything else. Hehehehehe!!! !